Sodium Orthovanadate is a general inhibitor for protein phosphotyrosyl phosphatases. 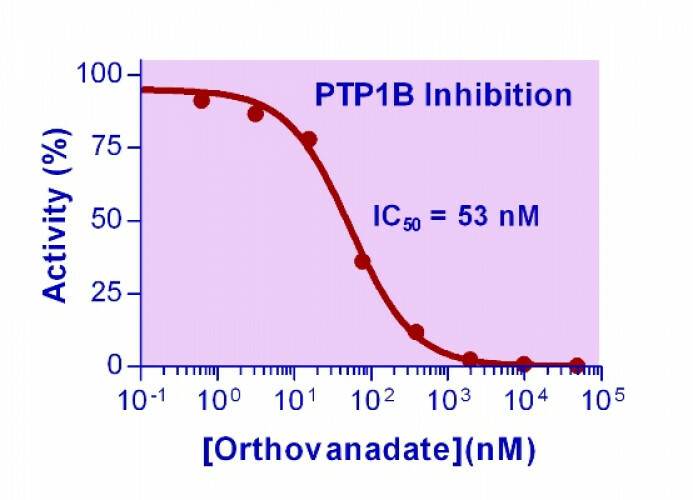 BioAssay Systems’ vanadate reagent is activated for maximum inhibition. Uses: to preserve protein phosphorylation state in cells and lysates. Applications Sodium Orthovanadate is a general inhibitor for protein phosphotyrosyl phosphatases. 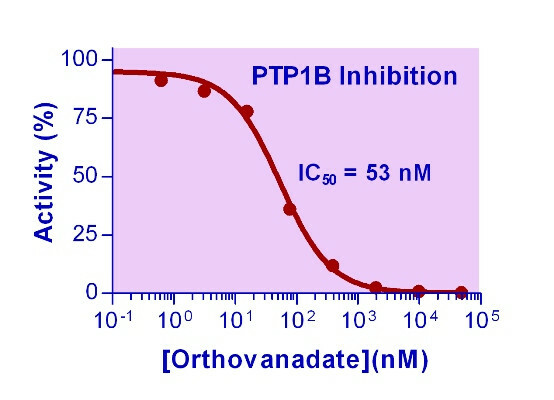 BioAssay Systems’ vanadate reagent is activated for maximum inhibition. Uses: to preserve protein phosphorylation state in cells and lysates.